After an obstacle race comes through your town it can often be weeks, months, or even a year in some locations before a race comes back to a neighborhood. In between those times, you can get your fix of the OCR world through television shows but when those seasons are over there is another way to keep the OCR fire alive within you, podcasts. Over the years more and more obstacle racing podcasts and those closely related to the industry have popped up. We compiled all the obstacle racing and mud run podcasts in this simple OCR podcast directory to help you keep OCR in your life on your way to work, at work, on the run, or even doing chores around the house when you wish you could be racing. 3-Seconds is a French Canadian site the Podcast 3-Seconds is an extension of the website. 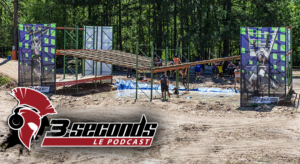 This podcast focuses on the obstacle racing community and people in Quebec and beyond. 3-Seconds covers topics and people from around the sport and continues to create unique content for the french speaking crowd. 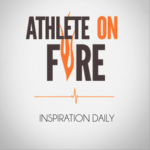 Athlete on Fire is a network of podcasts focused on people in the endurance world. While the podcast is not obstacle racing only many of the guests come from the obstacle racing world and one of the shows produced by Athlete on Fire Network is SISU:Radio which interviews athletes, race directors and more from the obstacle racing world hosted by obstacle racing personality Cookie. Dirt in Your Skirt was founded in 2011 to showcase obstacle racing. The latest addition to the site is the Dirt in Your Skirt Podcast featuring women's stories inside and out of obstacle course racing. The weekly podcast showcases women telling their own stories and is hosted by Margaret Schlachter, the first professional female obstacle racer and longtime personality in the sport of obstacle racing. 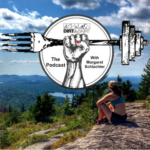 Link Endurance formally ER&M is a podcast dedicated to teaching you the health and performance benefits of eating REAL FOOD, as well as movement and strength training techniques to correct muscular imbalances, improve mobility, enhance athletic performance and improve your quality of life. While not initially created as an OCR podcast now many of the guests are part of the OCR Community. The Getting Dirty Podcast is hosted by Daniel and Laurie Hale. The duo brings a weekend warrior's perspective to the podcast world. The podcast talks about obstacle races and mud runs the two have run as well as brings on guests from around the obstacle racing industry to talk about all things mud. 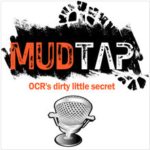 Mudtap – OCR's Dirty Little Secret, is a United Kingdom-based podcast hosted by Lance Wantenaar. The show featuring interviews with athletes, race directors, mud run fanatics, and those in the obstacle course racing business. Additionally, the show features gear reviews, training tips and all other things related to the sport of obstacle course racing. 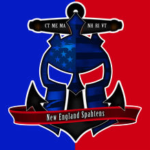 The New England Spahtens podcast is an extension of the obstacle racing group the New England Spahtens. One of the group's founders, Paul Jones, hosts the show. The podcast narrows it's focus to the thriving New England OCR racing scene with a mix of interviews of local race directors and personalities as well as panel discussions about the state of the sport among three of the founders. 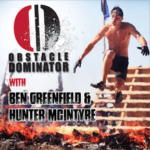 Obstacle Dominator brings together two huge voices in the health and obstacle racing world with hosts, fitness guru Ben Greenfield and elite obstacle racer Hunter McIntyre. The two bring their own flair to the podcasting world. 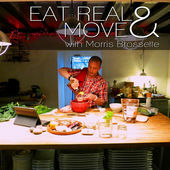 The two often have top level racers as guests on the show as well as answer listening questions regarding training, fitness, health, and wellness. 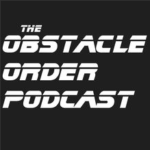 Obstacle Order podcast is hosted by Elijah Markstrom and Philip Levi. The podcast discusses strategies for getting the most out of your training as well as discussing strategies for specific obstacles, as well as general training and nutrition to support workouts. 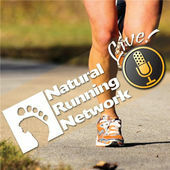 Episodes include expert interviews going in-depth on specific training and race topics. 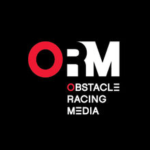 Obstacle Racing Media podcast was originally started as Matt B. Davis Runs podcast in 2012. It was the first obstacle racing podcast to enter people's earbuds. Since that time the show has interviewed many in the obstacle racing world as well as branched out into the endurance world as well. The show is hosted by Matt B. Davis and continues to be the longest running OCR podcast. 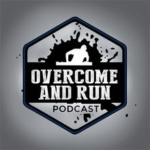 Overcome and Run Podcast is geared for obstacle racers and mud runners of all levels. The show is hosted by Jay Bode and features interviews with professional racers, personal trainers, fitness coaches, nutritionists, and race creators to bring it's audience the best practices they can take to race day. Spartan Up! 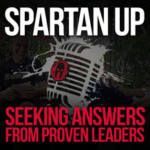 Chasing the Secrets to Success is the Spartan Race sponsored podcast hosted by Spartan Race founder Joe De Sena. De Sena travels the globe interviewing experts in their specific fields to find out what makes success. 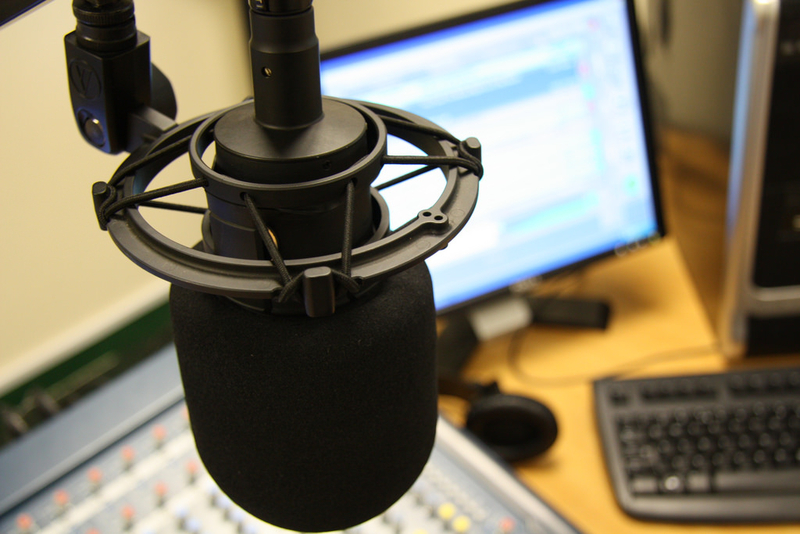 The show sometimes features obstacle racing personalities but often the guests are pillars in their industry and pulls nuggets of information from that that can be applied to daily life. 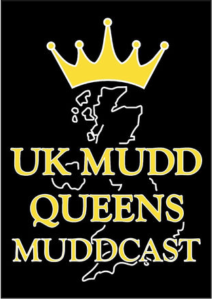 The women behind the popular UK Mudd Queens have decided to jump into the podcast game focusing on women in Europe in obstacle course racing with the UK Mudd Queens Muddcast. The podcast is hosted by Jojo (MQHQ) and Ami (ThisGirlDid), talk about the sport and women in it. 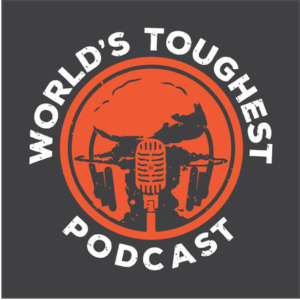 World's Toughest Podcast is a podcast all about World's Toughest Mudder. Weekly Will Hicks interviews the people and tells the stories around World's Toughest Mudder. From the podcast, “we talk to members of the WTM Community and share stories of success and failure in the single greatest event in OCR. The World's Toughest Podcast is a production of Contender Media and is not affiliated with Tough Mudder or TMHQ.” The podcast has become a favorite for many in the obstacle racing community beyond just World's Toughest Mudder. Find it on Apple Podcasts and other media players. Each podcast offers it's own flair and offers something for every listener. Now you can take obstacle racing with you throughout your daily routine. Did we miss a podcast in the OCR Podcast Directory? 3-Seconds Podcast is a french podcast in Quebec, Canada. We are at episode 54 right now and discuss every suject related to ocr.